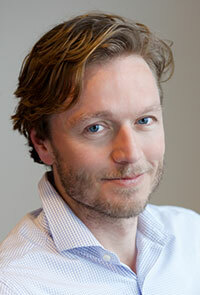 In an era in which many LGBT employees continue to find their career path paved with obstacles, Dr. Michiel Kolman, Elsevier's Senior VP of Global Academic Relations, has shown how dedication, a positive attitude and a supportive work environment can break boundaries. On Thursday, the Financial Times featured 100 "Out and proud heroes of the business world who have risen above barriers to success." Dr. Kolman was included in this ranking of highly successful LGBT (Lesbian, Gay, Bisexual and Transgender) executives, compiled by UK-based OUTstanding in Business, a nonprofit networking group that campaigns for LGBT rights in the workplace. 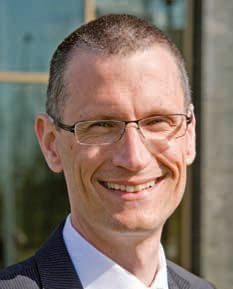 Later that day, at the Frankfurt Book Fair, Dr. Kolman was elected Vice President of the International Publishers Association (IPA) for the next two years, after which he will take on the IPA presidency. "Coincidence or not, I must admit I was a bit overwhelmed by all of this," Dr. Kolman said. "Receiving all this recognition for my work on the same day made me realize how incredibly blessed I am. Obviously, the honor of being appointed Vice President of the IPA had nothing to do with the FT article itself, but it did certainly remind me of how I've been able to be successful despite being part of a community that is still sometimes struggling to get ahead because of their sexuality." Afterwards, he said dedication and a positive mindset are only part of the picture: "I have to admit that I've had my share of luck as well. Ever since I joined Elsevier in 1995, I've always worked with colleagues and superiors who were open minded towards and supportive of gay employees. I have never been treated any differently than others, I've never been denied anything because of who or what I am. My company gave me the space to be the professional that I wanted to be." In my role, I have to deal with and respect people who look at homosexuality completely differently than, for example, in the Netherlands. It's easy to be open and outspoken about it here in our Amsterdam office, but in some countries, it's considered inappropriate, disrespectful or plain awkward to even raise the LGBT topic. I respect that, and have to keep that in mind whenever I travel to those places. These cultural differences can lead to a phenomenon confronted by many in the LGBT community, Dr. Kolman explained. You know, for gay people, their "coming out" is a huge deal. It's a very hard decision to make. But for most … their coming out is a one-time event. In the international business world, it's not. Whenever I find myself in a conversation in a place where homosexuality is a no go area, but the topic is likely to come up nonetheless, I have to once again decide whether I'm "coming out of the closet" or not, carefully balancing relational, personal and business interests. Dr. Kolman said he doesn't see these cultural challenges as a burden but feels they even make his job more interesting. 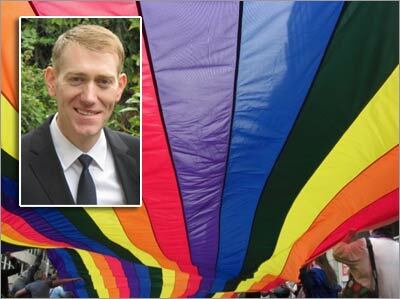 At Elsevier, he has led an initiative to promote LGBT-friendliness in the workplace. 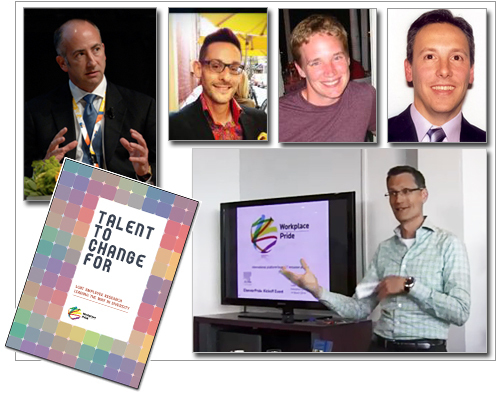 On March 14, 2012, employees in the Amsterdam office launched a network of LGBT employees called Elsevier Pride Netherlands. The network organizes educational events about creating and sustaining a positive environment for LGBT employees, fundraising activities for local LGBT initiatives like Amnesty Pride, and a presence at the annual Amsterdam Pride event. Then in June, on behalf of Reed Elsevier, he signed the Declaration of Amsterdam, a call to action for employers, unions and governments to implement concrete changes to ensure progress on LGBT matters. It was created by Workplace Pride, an international, nonproﬁt foundation based in Amsterdam that strives for greater acceptance of LGBT people in the workplace and in society. Dr. Kolman recalled one of the speakers at the Declaration ceremony, Lord John Browne, former CEO of BP and author of Glass Closet. In his speech, Browne talked about his initial reluctance to come out of the closet, and how that had — to put it mildly — not helped him in his career. He said that he, looking back, would have done things differently. His talk greatly inspired me, as it reconfirms how I've always looked at the broader topic of workplace diversity. Being part of any minority group doesn't automatically imply you have limited career possibilities. Just like anybody else, LGBT employees should focus on their strengths and not on limitations, set goals and work hard to achieve those. But more than others, they need a respectful, open minded environment to make their seeds grow. I've been fortunate enough to be in one.